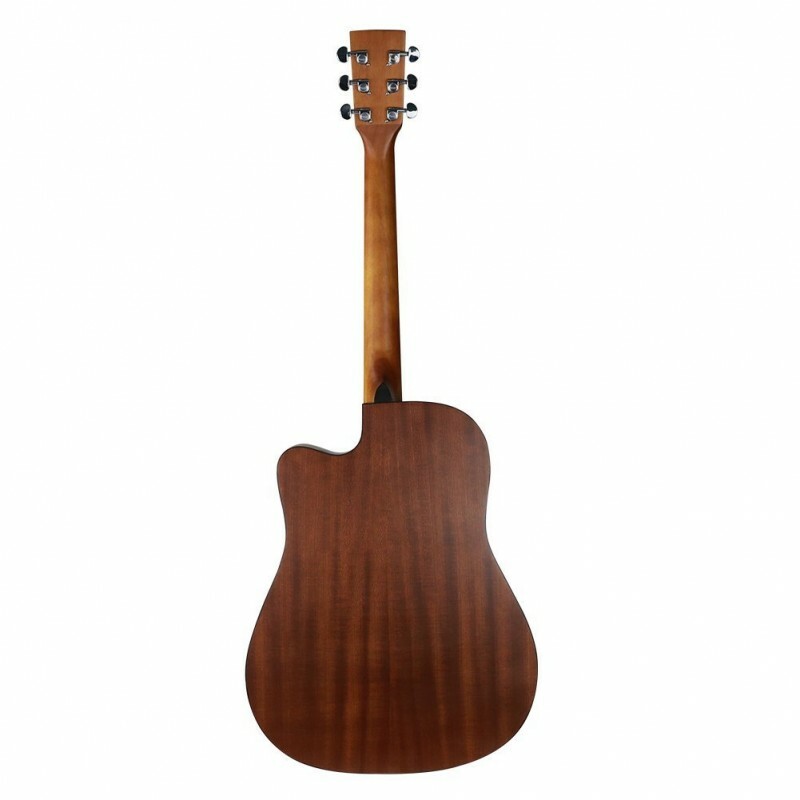 41 INCH FULL SIZE GUITAR: This professional guitar has a great matte nature finish and attractive appearance. Features spruce top, sapele back and side, okoume neck, rosewood fingerboard and bridge. 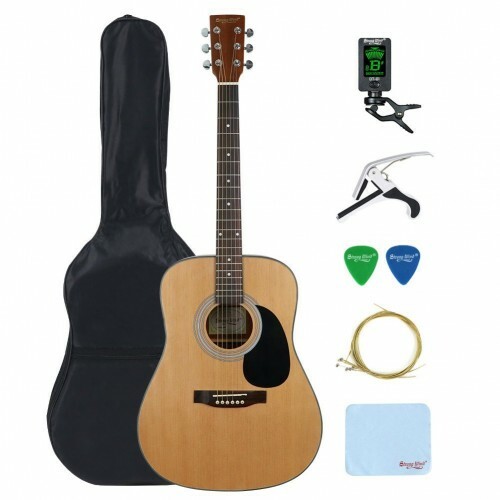 This 4/4 steel string acoustic guitar beginner kit is a excellent gift for adult. DREADNOUGHT ACOUSTIC GUITAR: 41 inch acoustic guitar, equipped with 6 steel strings and 650cm scale length, offers full and vibrant tone. This fantistic travel guitar suit for all styles of music. 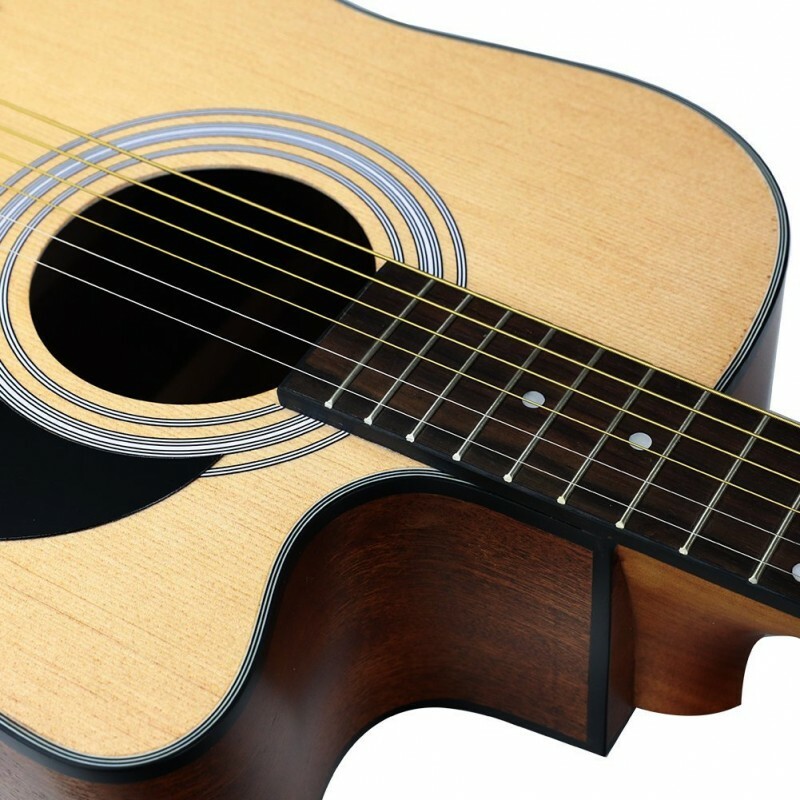 Tip: It is a right handed guitar and cannot be converted to left handed guitar. 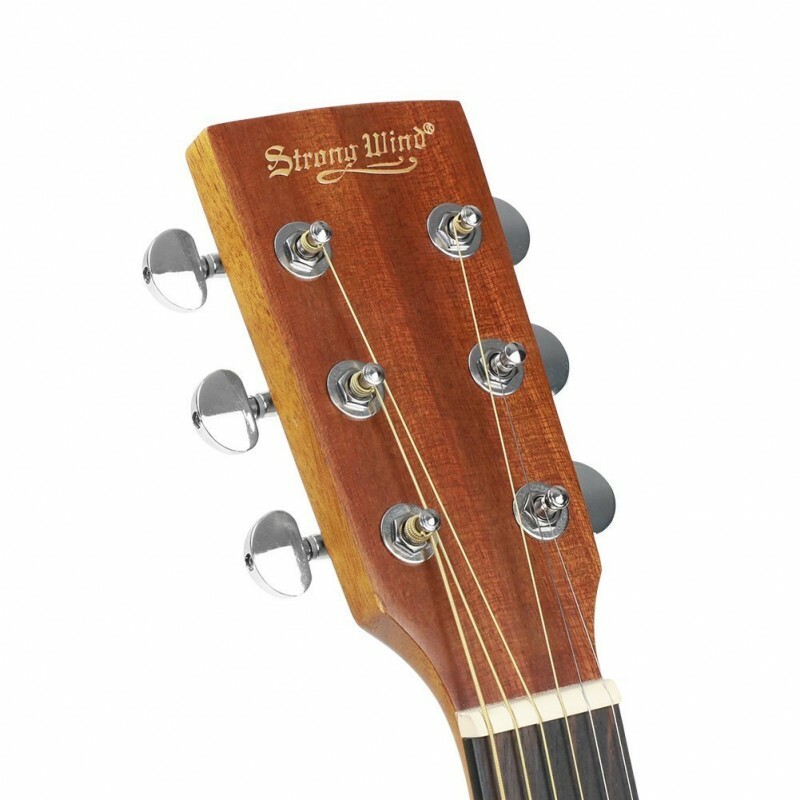 TOTALLY ENCLOSED TUNING HEADS: They are so smooth and they stay in tune very well. With the combination of the electric tuner and qualified tuning heads, the dreadnought guitar keep its tune well. You do not need to tune it frequently. A great equipment on this natural guitar, greatly improved tuning stability. WIDELY APPLICATION: Our acoustic guitar bundle can be a professional guitar kit for experienced player, it also can be a guitar starter pack for firt-time player. That is, it can be a professinal guitar or beginner guitar. 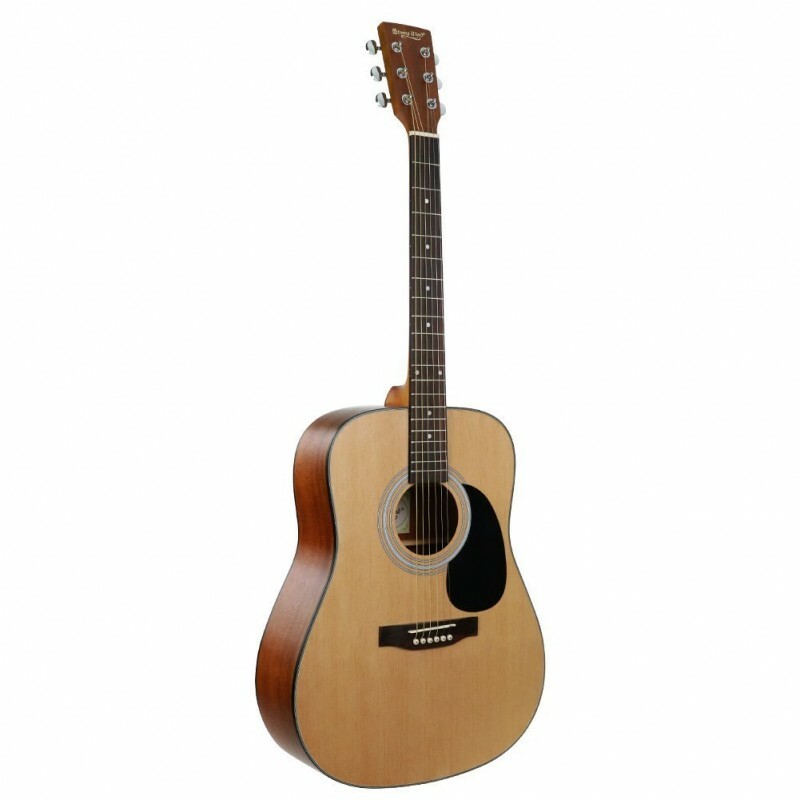 It can also work as a student guitar, adult guitar and children guitar. 1 YEAR WARRANTY: In order to make sure that all the guitars are created with a great sound, each piece of wood is selected strictly from the country of origin and being natural air-dried for 6 years. More than 2000 manufacture produres and hundread times precision improving, together with 30 years of manufacture experience. Strong Wind offers 1 year warranty and lifetime service. 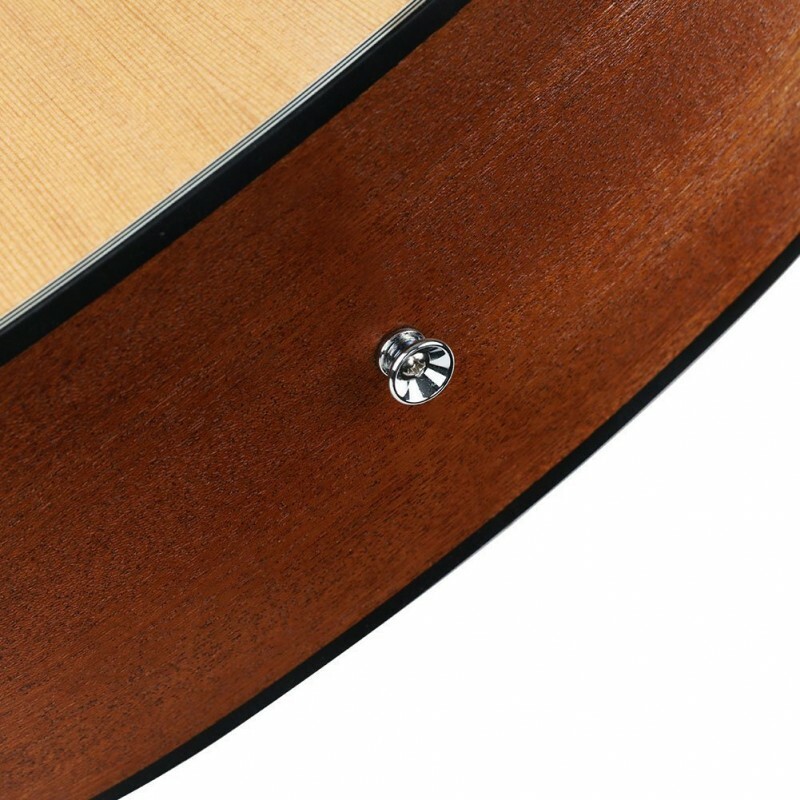 This 41 inch acoustic guitar features a spruce top and sapele back and side. All of these two woods are durable and sturdy. The product great tone. The spruce top produces a full and rich sound. The sapele back and sides not only can add durablility and stability to the guitar, but also delivers a great tone to player. The rosewood fretboard and bridge offers more stability to this professional guitar. The solid okoume neck is shaped in a way that feels natural to you. The frets are smooth and not cause buzzing sounds. Your need to make sure the guitar has the right feel before buying. If the instrument is comfortable when you play it,it is the right one which fit for you. 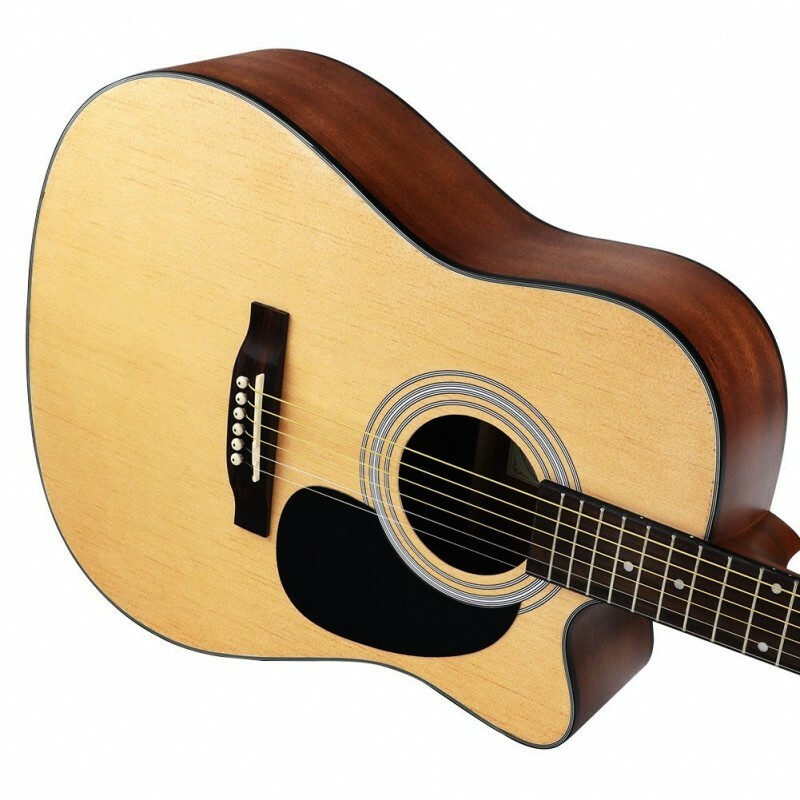 With its big dreadnought body, this 4/4 full size acoustic guitar has a big sound. The tone that comes out of this musical instrument is incredible. You'll be surprised at its great tone and volume. This full size guitar makes it easy to haul around with a rich and full sound. The enclosed tuning machine for this natural guitar are quite fancy. They were installed on the headstock. Compared to opening tuning machines which require regular lubrication to keep working smoothly, our enlocsed one are packed with grease before they are sealed. Moreover, they are not exposed to the air and they will not rust easily.